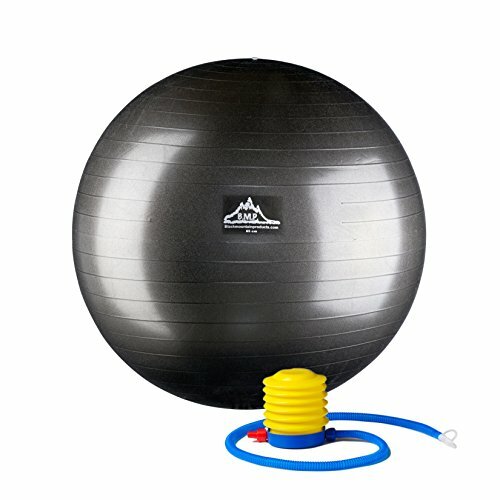 The 2000lbs Static Strength Exercise Stability Ball with Pump is another extremely valid exercise ball that bears mentioning. This particular exercise and stability ball is made by Black Mountain Products, a prevalent maker of exercise equipment and trusted by many. This product comes with a lifetime warranty and a 100% guarantee, and let’s be honest: That’s not too shabby! These professional grade exercise and stability balls feature extremely dense walls to offer maximum support, and are able to withstand up to 2,000 pounds of verified weight when they are at maximum air capacity. Designed to improve the user’s core strength, balance, and overall agility, the 2000lbs Static Strength Exercise Stability Ball is truly in a class all its own. Unlike the GoFit Professional Stability Ball, this exercise and stability ball does not feature a textured surface, which unfortunately could allow the user to slip and/or tip if they are not careful. However, this particular bit of equipment is still vital to anyone interested in trying a new, unique, and fun way to either begin their journey to a healthier lifestyle, or take their boring workouts to the next level. This exercise and stability ball is also perfect for anyone that is injured or has trouble doing anything overly strenuous, but still wishes to keep their lifestyle active. Just using the ball daily can greatly improve your posture! Everyone knows core training is vital to keeping the rest of your body toned, so why not work out those muscles in an enjoyable and perhaps even comfortable way? It is proven that just sitting on the ball for a few hours a day can greatly improve your core and enhance your balance. 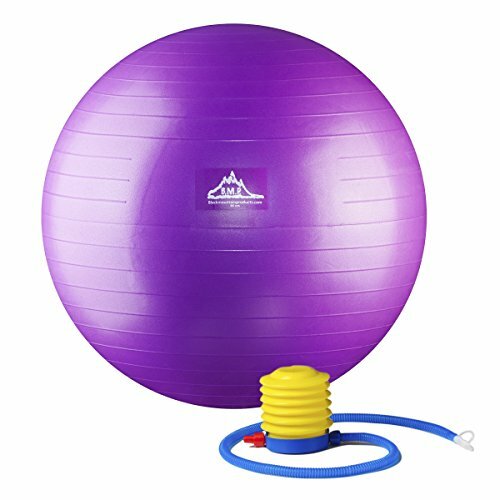 Worried that these exercise and stability balls don’t have a size to fit your particular needs? You have absolutely no reason to worry! The 200lbs Static Strength Exercise Stability Ball With Pump is available in 5 different sizes: 45 cm for people 5 feet tall and under, 55 cm for people 5 feet tall to 5 and a half feet tall, 65 cm for people five and a half feet tall to 6 feet tall, 75 cm for people 6 feet tall to 6 feet and 5 inches tall, or 85 cm for people 6 feet and five inches tall or taller. Remember: when choosing an exercise and stability ball for you, make sure that when you sit on it the ball will force your knees to be bent at a 90 degree angle.